Boston ferns (Nephrolepis exaltata ‘Bostoniensis’) are old-fashioned ferns with beautiful arching fronds. They require adequate sunlight, water and nutrients to thrive, and good cultural practices help keep your fern healthy. If your fern doesn’t get the best care – or even if it does – it may be attacked by Boston fern diseases. 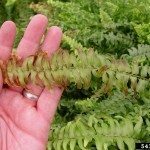 Read on to learn more about diseases of Boston fern plants. If you fail to water your potted fern appropriately, over or under irrigation can lead to unhealthy Boston ferns. Most fern instructions advise you to keep the soil constantly moist. 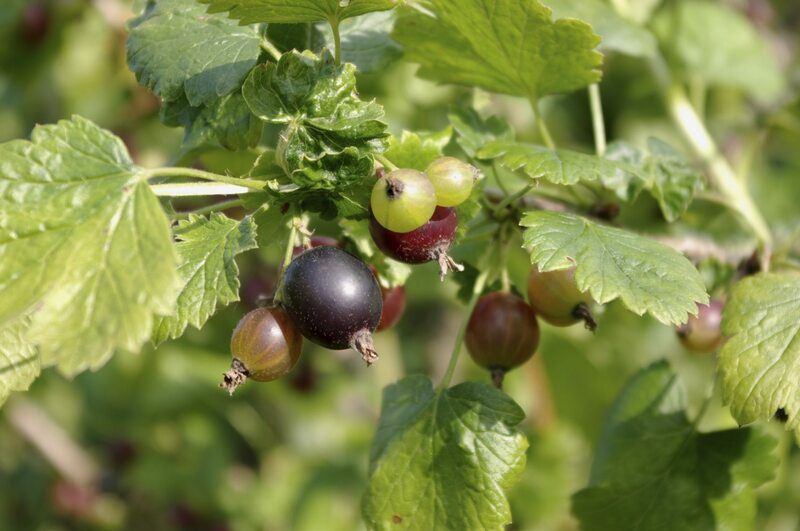 But this is not the same as allowing the soil to be wet or the plant to become water-logged. To avoid issues with Boston ferns, water the plant thoroughly when the top of the soil is dry. Keep watering until it leaks from the drain holes in the bottom of the pot. Do not water again until the soil surface is dry. Failure to water sufficiently can lead to graying, one of the most common Boston fern problems. Graying is often the result of drought conditions. 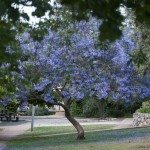 You’ll know if your plant has this condition when the leaves turn gray and the plant may seem to stop growing. Increasing irrigation should resolve this. 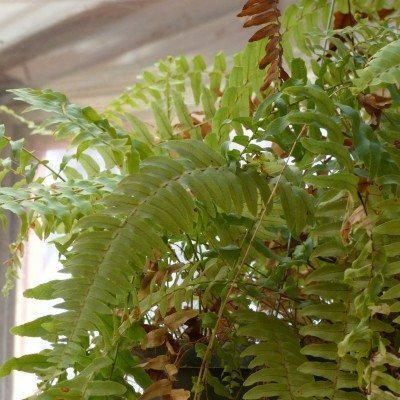 Although many gardeners consider tropical ferns low-life plants, Boston ferns need adequate light. If they do not get a medium amount of light – at least two hours of indirect light all year round – their fronds become long and pendulous. This is termed weak frond and is resolved by increasing light. If the fronds of your Boston fern turn gray and you’ve been watering properly, the next disease to consider is Pythium root rot. The fronds can also wilt or grow stunted. To confirm root rot, look at the roots of your unhealthy Boston ferns. If they are brown and stunted, it is likely root rot. 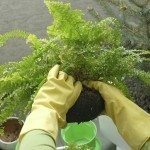 The best way to prevent a Boston fern from getting root rot is to buy disease-free plants and pathogen free potting soil. You can also check in your garden store for chemicals that control this disease in Boston ferns. These tips are also appropriate for preventing and treating other Boston fern diseases such as Rhizoctonia aerial blight. 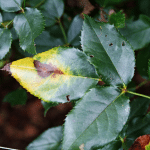 In blight, dark lesions develop rapidly on the foliage and roots. Unchecked, the entire plant is eventually covered with the pathogen’s brown web-like mycelium. If you opt to use chemicals to treat this disease, treat the soil as well.